The actors are enjoyable, but I felt bad they weren’t given more. Holbrook (Logan) is consistently upstaged by his eccentric band of compatriots, but only Jane, Key, and Rhodes get any personality. The other guys are just kind of there. I don’t think I laughed once at Key’s (Netflix’s Friends from College) many, many wisecracks. The Tourette’s syndrome tic given to Jane (TV’s The Expanse) is rarely funny, and yet Black goes back to it again and again (the adolescent kid behind me in my theater thought every profanity was the funniest thing ever committed to film). The actors glide by on Black’s signature macho, cocksure style, clinging to every new quip like a lifeline. Munn (X-Men: Apocalypse) has a few fun, feisty moments but is still basically featured as The Girl. Tremblay (Wonder) is making me rethink my evaluation of him after Room. The best actor in the movie, by far, is Brown (Black Panther) who has a malevolent charm that connects most fluidly with Black’s sensibilities. Even his self-satisfied laughter made me laugh. 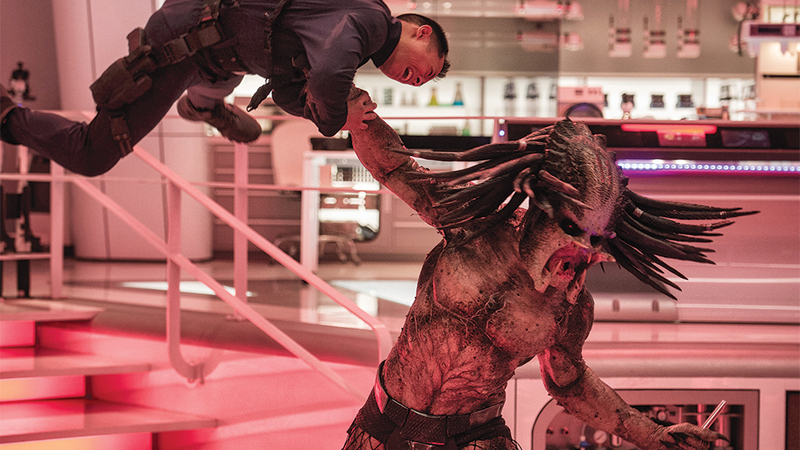 The Predator is part sequel, part reboot, part Shane Black genre riff, part muscular R-rated action movie, part chase movie, and part Hollywood mishmash. 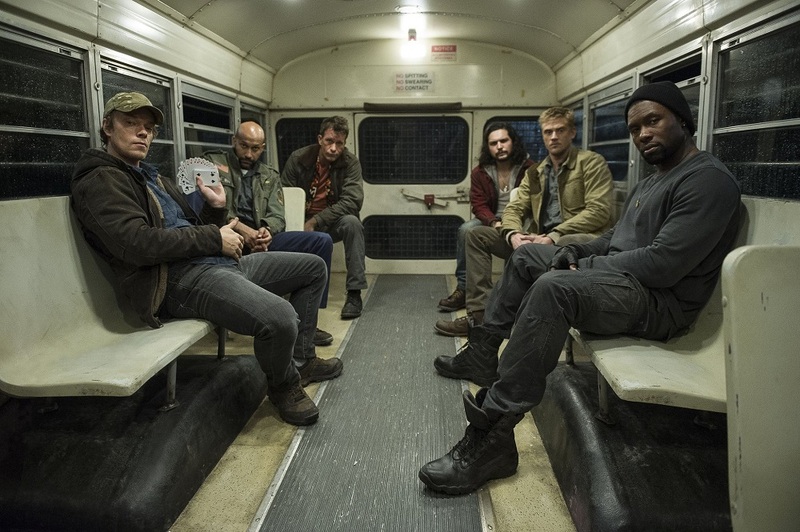 Apparently, the film underwent extensive reshoots as well, retooling the entire third act, which seems obvious in hindsight and only magnifies the disconnect between the central story elements. Shane Black’s signature elements are but glimmers of what could have been. It needed to be more of a genre send-up of 80s-action farce, or a more straight-up action movie, or something where the plot generally made sense and had characters we liked. Was Shane Black playing a joke on the studio? 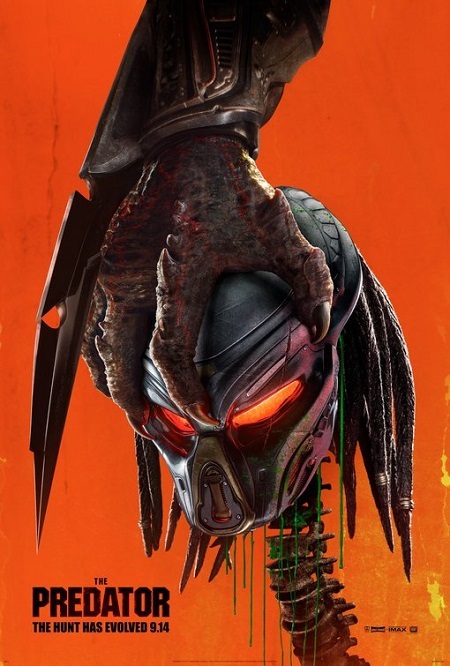 The Predator will probably be most known for editing out a real-life sexual predator, or from its dreadlocked alien dog being domesticated after getting shot in the head, or its depiction of autism, or anything that isn’t really the entertainment level of a mediocre rehash. Check out Predators instead.